Adding printers to Jamf Admin or Jamf Pro is the first step to administering printers on computers. When you add a printer to Jamf Admin, you choose from a list of printers that are on the computer running Jamf Admin. When you add a printer to Jamf Pro, you manually specify information about the printer, such as the CUPS name and device URI. When you add, edit, or delete a printer in Jamf Admin, the changes are reflected in Jamf Pro and vice versa. Add the printer to a category. Choose whether or not the printer is set as the default when mapped during imaging. Specify an operating system requirement for mapping the printer. Select the checkbox next to each printer you want to add. (Optional) Choose a category to add printers to. Select the printer in the main repository and double-click it. 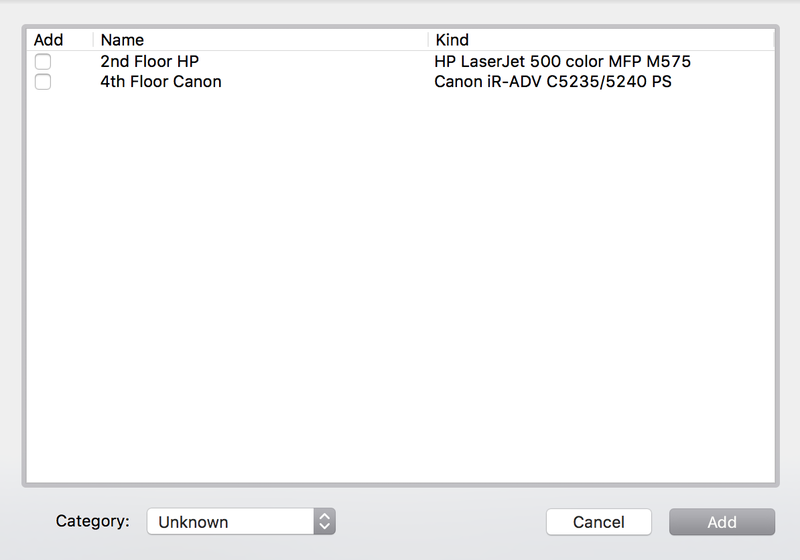 Click the General tab and configure basic settings for the printer, including the display name and category. 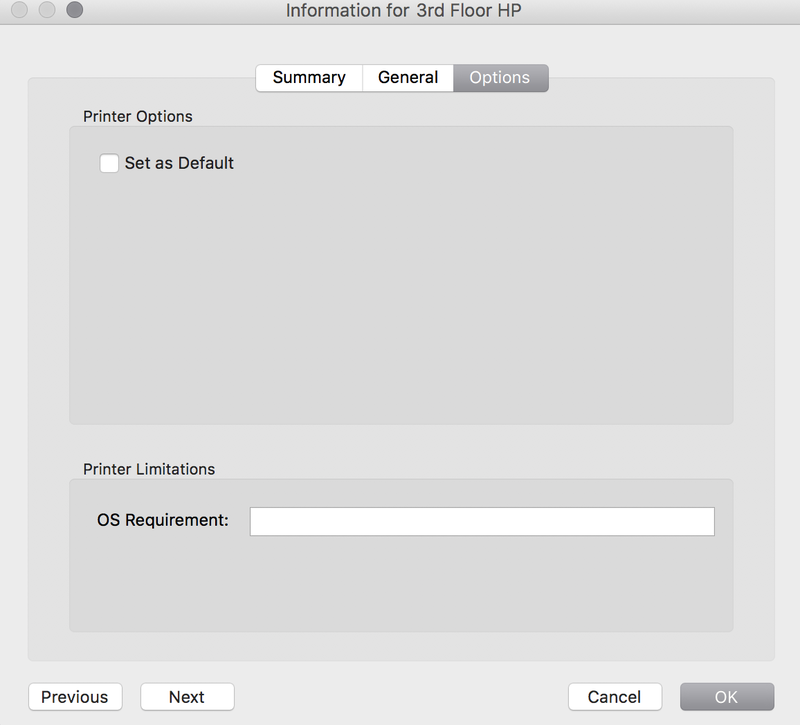 Choose whether or not the printer is set as the default when mapped during imaging, and configure the operating system requirement. In the “Computer Management” section, click Printers . 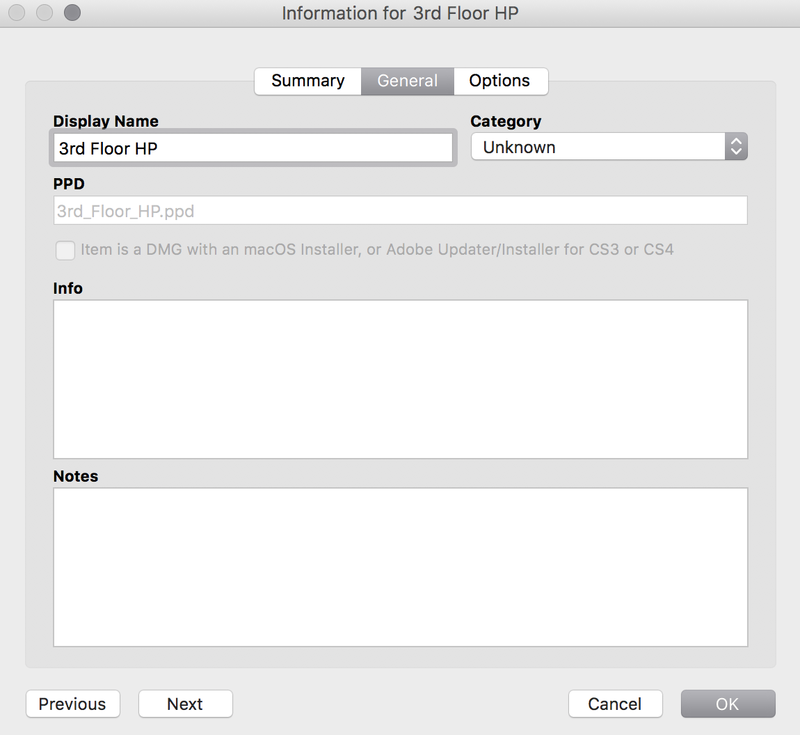 Use the General pane to configure basic settings for the printer, including the display name and category. Click the Definition tab and specify information about the printer, including the CUPS name and device URI. (Optional) Click the Limitations tab and specify an operating system requirement. In the main repository, select the printer you want to edit or delete. To edit the printer, double-click it and make changes as needed. Then click OK.
To delete the printer, click Delete and then click Delete again to confirm. Find out how to map and unmap printers using a policy or Jamf Remote.